Thursday’s game between the Houston Texans and the Cincinnati Bengals could be epic — for all the wrong reasons. Early NFL betting action has fallen mostly on Cincy’s side. Week 2 of the NFL regular season might be the best time of year for savvy sports bettors. People generally overreact to what happened in Week 1. And what happened this year was pretty crazy. Multiple injuries, multiple failures by quarterbacks and special teams – and officials, and commentators… we could go on, but you get the idea. Sadly, as far as Thursday night’s game is concerned, both teams made more than their share of mistakes in Week 1. Doom and gloom surround the Houston Texans after they got squished 29-7 by the Jacksonville Jaguars (+6 away). Storm clouds are forming over the Cincinnati Bengals, who were blanked 20-0 by the Baltimore Ravens (+2.5 away). Things are about to get worse for one of these clubs – but which one? Probably the Texans. They’re already up to +6.5 (at BetOnline and most top rated Sportsbooks) on the NFL betting odds board at press time after opening at +3 (+101). Our expanded consensus numbers at Sportsbook Review have over 60 percent of the wagers placed and amount wagered landing on Cincinnati. The pessimism is understandable; neither Tom Savage nor Deshaun Watson looked particularly good against the Jags, and Watson may end up starting Week 2 despite tweaking his ankle in Week 1. There are plenty more ifs where that came from. But let’s put those aside for a moment and do the math for this game first. Computer projections give us a baseline expectation to stand on, and… sweet juniper berries, the Bengals are up to –6.5 now. It’s a feeding frenzy out there. Let’s get these projections in a circle already. FiveThirtyEight is our preferred source of free football nerd stats here at the ranch, and they’ve got the Bengals winning this game 63 percent of the time, for an Elo-based point spread of Cincinnati –3.5. ESPN’s Football Power Index has geek cred, too, and the FPI numbers have the Bengals winning just a shade more often at 64.1 percent. Looks like the oddsmakers had it bang-on at the open. Of course, they did. The people who set the opening lines are looking at these and other projections, too. Then they adjust as needed when the bettors come in and do their thing. Fading Houston at +3 (+101) in NFL Betting odds board seems perfectly reasonable; the Texans had five players suffer concussions in Week 1, and none of them are expected to be ready for Thursday. Plus, RG Jeff Allen (ankle) is expected to sit out, and we still don’t know for sure if Watson will start ahead of Savage. It might not matter much. Houston’s offensive line gave up a team-record 10 sacks to the Jaguars – six on Savage in the first half, four more on Watson in the second. They desperately miss LT Duane Brown, who’s holding out for a better contract. Losing all three of their tight ends (C.J. Fiedorowicz, Ryan Griffin and Stephen Anderson) to concussion won’t help protect those quarterbacks, either. The Texans will probably have to dip into their practice squad and give Evan Bayls the nod this Thursday. The thing is, Andy Dalton had his own problems against Baltimore, throwing four picks and losing a fumble. And again, he can point to the offensive line, which lost LT Andrew Whitworth and RG Kevin Zeitler to free agency in the offseason. 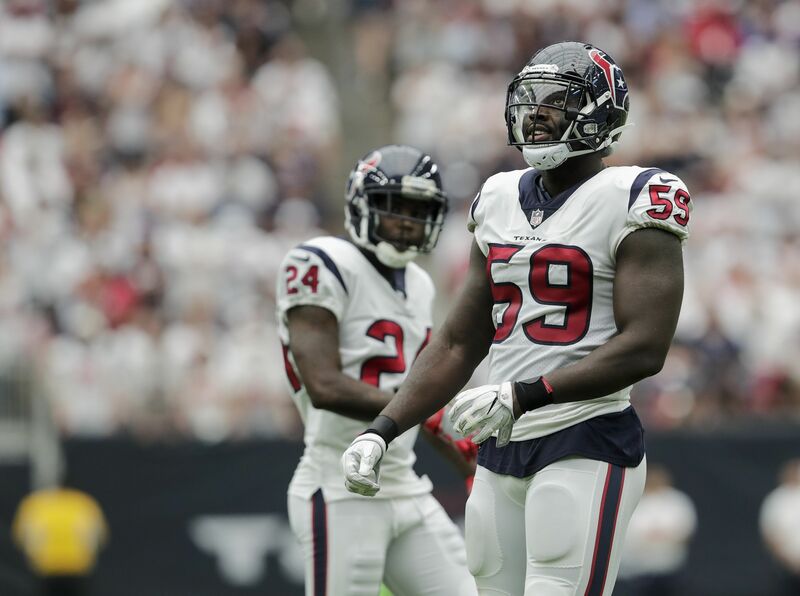 It’s even worse now: RG Trey Hopkins could be lost for the year after suffering a “major” knee injury on Sunday. Betting on either of these teams at their current odds doesn’t look too appetizing. Good thing there’s a total to bet on, too – come back tomorrow and we’ll tackle it together.